Our X-Treme Skid Steer Hay Bale Squeezer Attachment is great for anyone moving and stacking large quantities of hay on the farm or ranch. 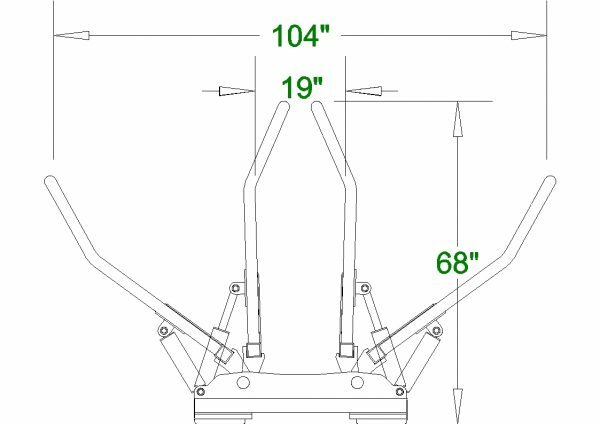 The X-treme hay bale squeezer supports twin cylinders as where the heavy duty hay bale squeezer supports only one cylinder. With the design of this hay bale squeezer, you can pick up wrapped hay bales without tearing or puncturing the plastic. The two cylinders gives the bale squeezer a stronger holding capacity and is able to stack two bales of hay at a time. 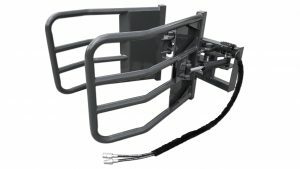 The CID skid steer hay bale squeezer is also known as a “bale grabber” or “bale hugger” in the skid steer attachment and related industries. If you need to move or stack a lot of hay bales. The CID X-treme skid steer hay bale squeezer attachment is the one you will want to own. It features twin 2.5″ x 10″ cylinders with a holding capacity of 2,800 lbs. This attachment can also stack two bales at a time and handles 4, 5 or 6 foot bales. Twin 2.5 x 10 Cylinders. Will Lift 4’, 5’, And 6’ Hay Bales.